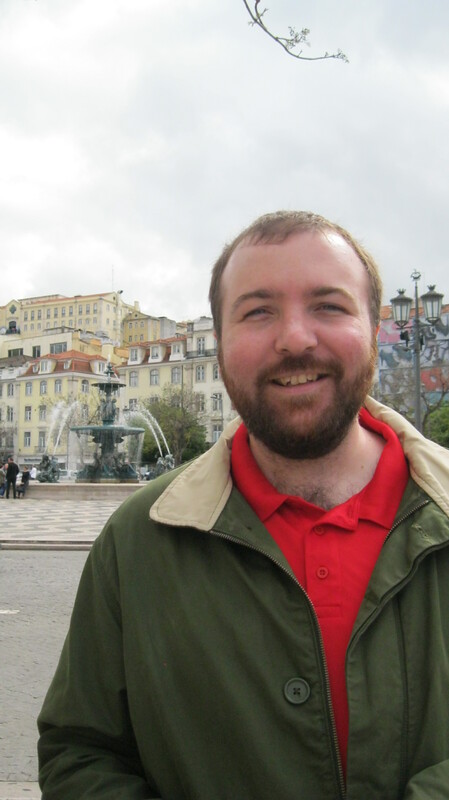 Here are a few more pictures from our time in Lisbon. I couldn’t think of any other unifying theme for this post other than “pictures from the streets” – hopefully they’ve serve to give you a taster of what the city is like. 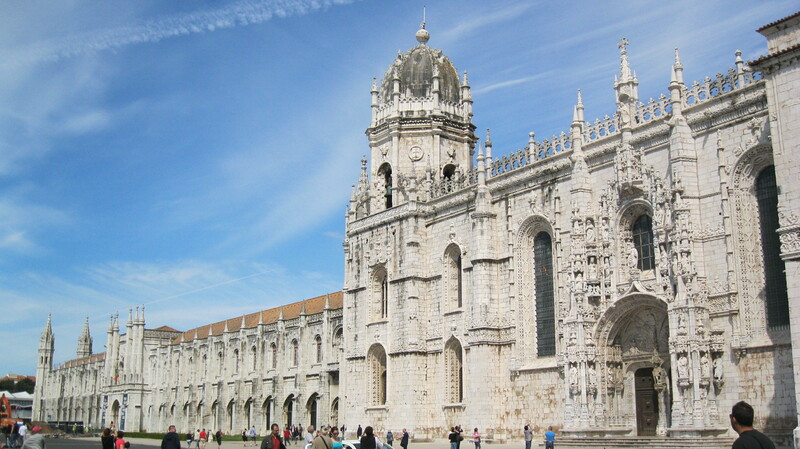 The exterior of the Jerónimos Monastery, in Belém. Unfortunately it was closed on Monday, when we decided to visit (No thanks to our Marco Polo travel guide!). And I tripped on the cobblestones in front and made a big fool out of myself. 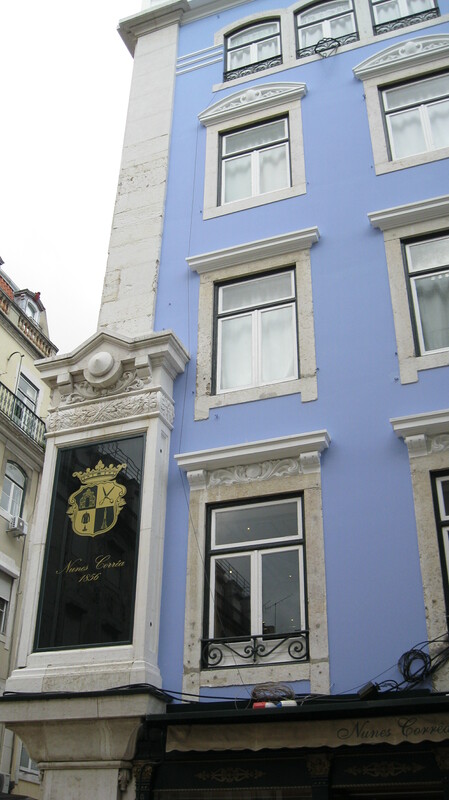 But it looked very impressive, and is definitely on our to-do list for the next trip to Lisbon! 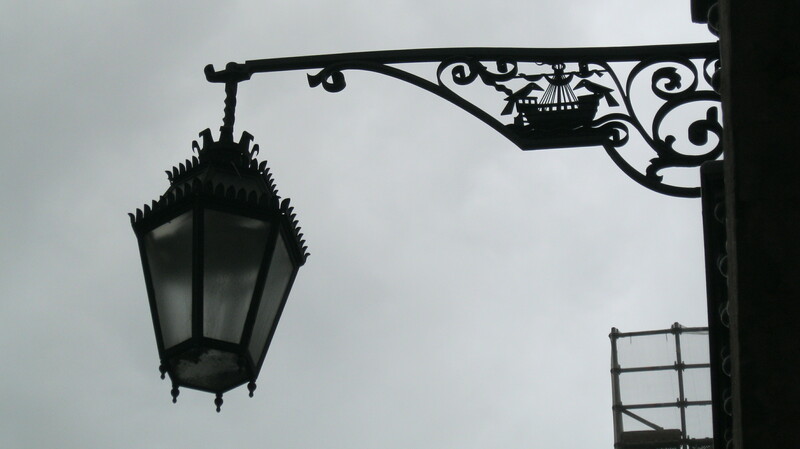 One of the many lanterns that adorn the city streets in Baixa. This one has the image of the boat and two crows in the ironwork that represent the story of the city’s founding. I can’t remember why I took this picture, or why I included it in my list of “for the blog” pics – except that maybe I really liked the blue paint? Or the windows with the black stripes? Not sure. But guess it was an aesthetic edit. Another aesthetic edit! The handsomest man in Portugal. 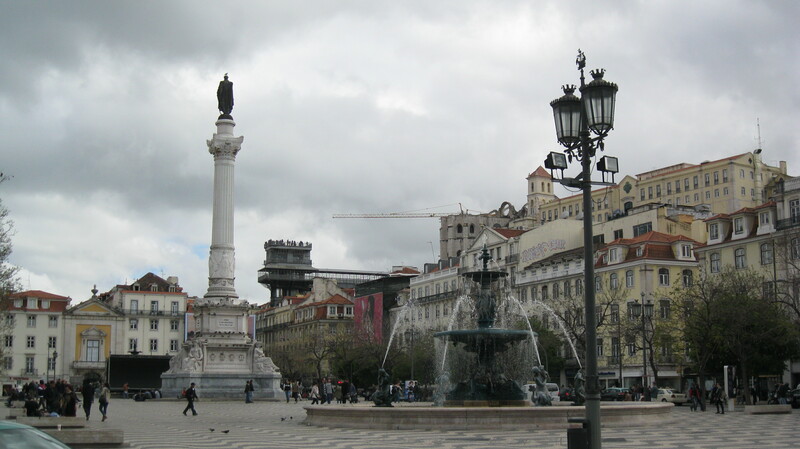 One of the central plazas…. 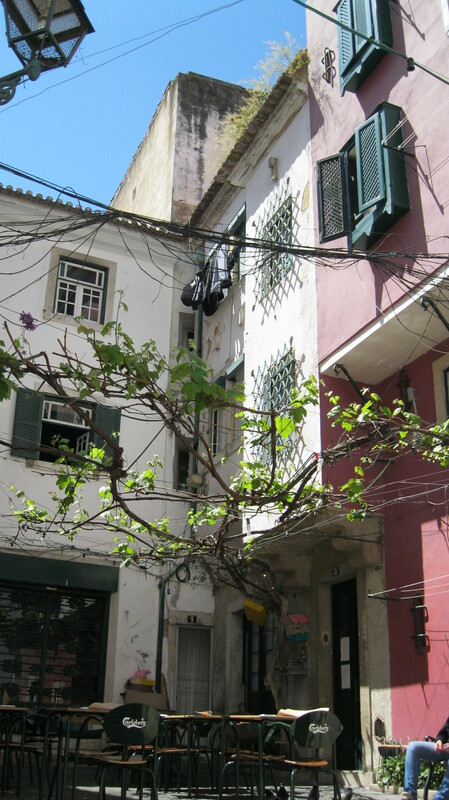 A courtyard in the historic Alfama district. Apparently the house on the right includes several Moorish architectural features, like the window frames sitting in boxes on the pink house, and the ironwork grills over the windows on the white house. Also, the houses were taxed based on sq. footage of the ground floor, so the upper floors extend outward to give more living space without additional taxes. 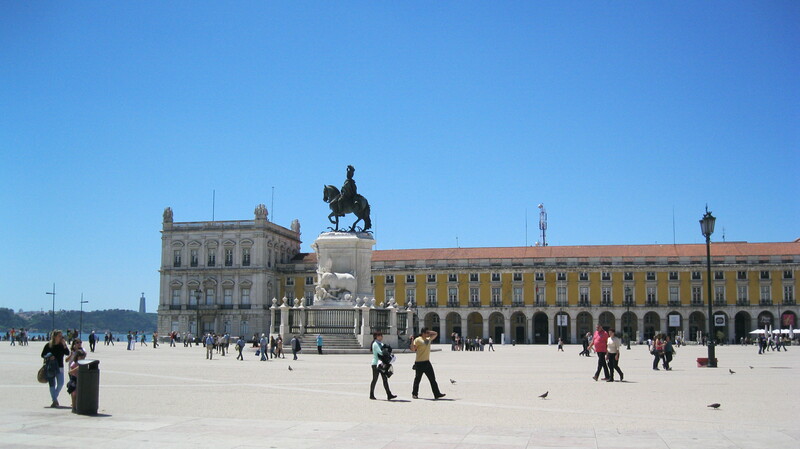 Praca de Comercio, or Commercial Square. It’s right at the southernmost end of the city, and opens onto the river. It’s a gorgeous space, but almost too big for human scale. 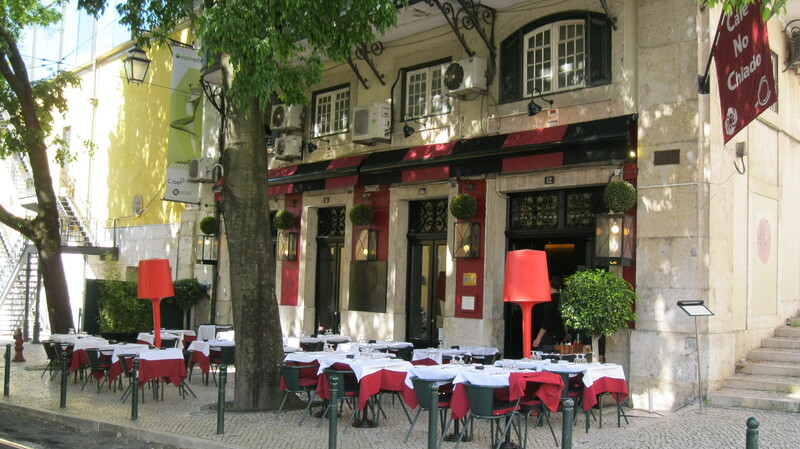 An adorable restaurant we stumbled upon as we were talking down from Chiado to the Cais do Sodre. We meant to come back for lunch but never made it! Next time… if we can find it again! Posted on 19/05/2014, in travel, Travel to Europe and tagged Lisbon. Bookmark the permalink. 1 Comment.